Gluten free paté a choux is easy peasy. Honest. Just as easy a paté a choux that's filled with gluten. There are a couple of tricks of the trade to watch out for: make sure you let the choux rest for about two minutes before you add the eggs and make sure you add the eggs with the pan away from the heat. Also, be prepared to get a good arm workout; choux pastry gets thick! The top tools you'll need are a sturdy nonstick pan (if it's your first time making it, I'd suggest a stainless steel pan, though) and a thick wooden spoon. And if you're not a dab hand with a piping bag, then draw a rough guide on your parchment/baking paper so you know how much dough to pipe out. Place the butter, sugar, salt and water into a sauce pan and bring to the boil. As soon as it comes to a rolling boil, remove it from the heat and immediately add both flours. Stir to incorporate until a ball forms and the dough pulls away from the sides of the pan. This should take about two minutes. Allow the choux to rest for about 2 minutes. 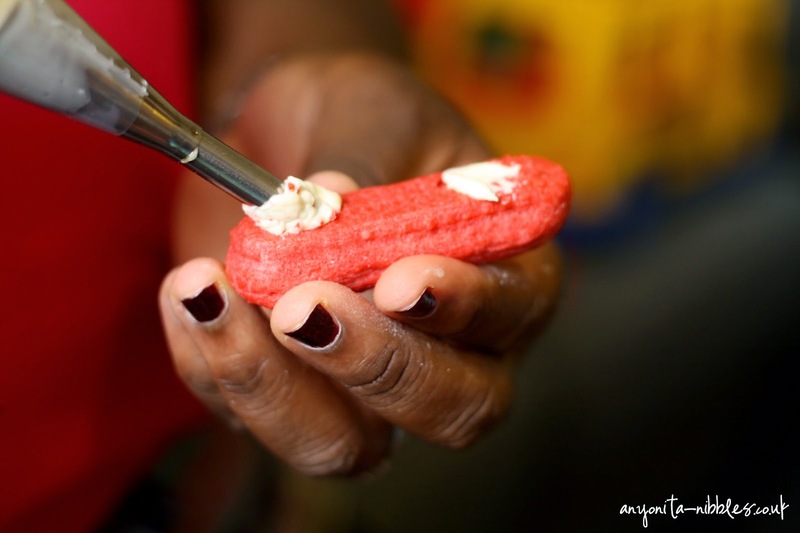 Add the first egg to the choux along with a few drops of the red velvet emulsion and stir. The dough will split at this stage and your perfect ball of choux will separate into layers of thick pastry. This is normal and this is what you want to happen. Just keep stirring, quite vigorously, and the dough will come back to form a ball again. Add the second egg to the choux and stir. Again, the dough will split, but a bit of elbow grease and consistent, vigorous stirring will see the dough form a ball again. 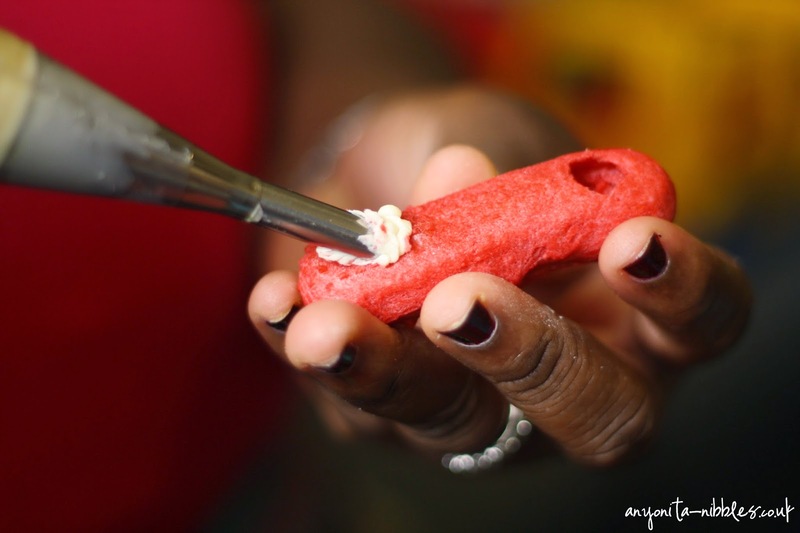 Scoop the paté a choux into a piping bag. Pipe lines of dough onto a baking tray lined with parchment or baking paper. 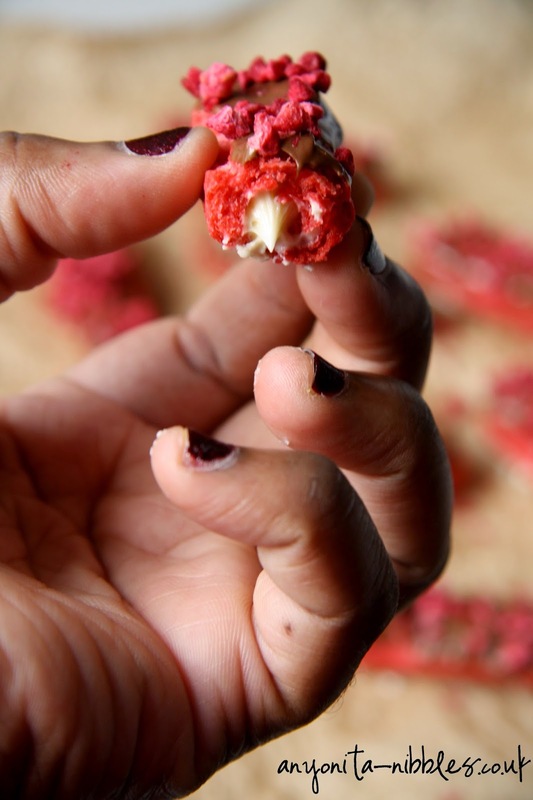 Wet your fingertips in a bit of cold water and gently pat down any peaks in the choux pastry that may have formed when piping out the lines of dough. 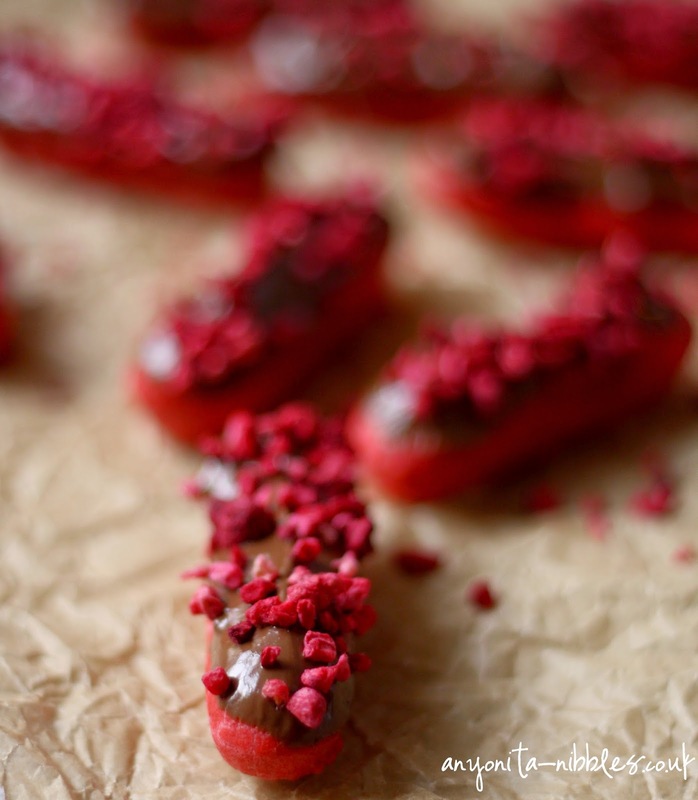 Bake the eclairs for about 20 minutes, or until cooked through, crispy on the outside and light to pick up. 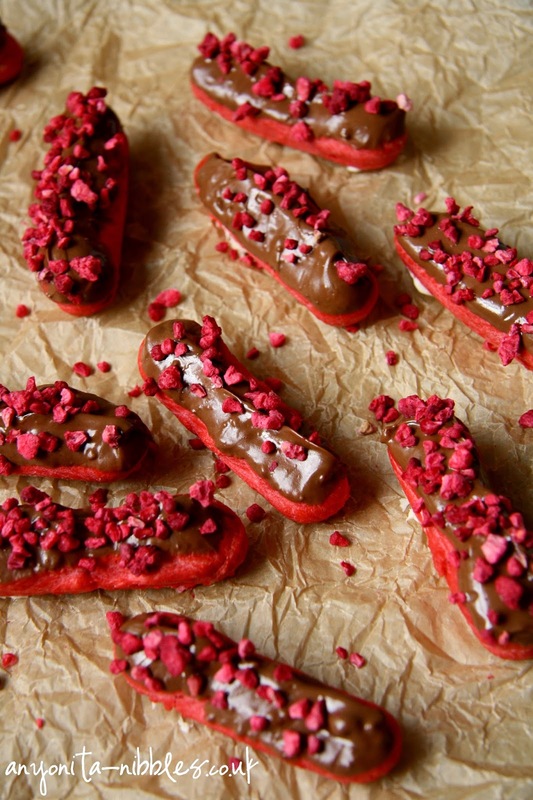 After 20 minutes of baking, turn off the oven, leaving the eclairs inside. 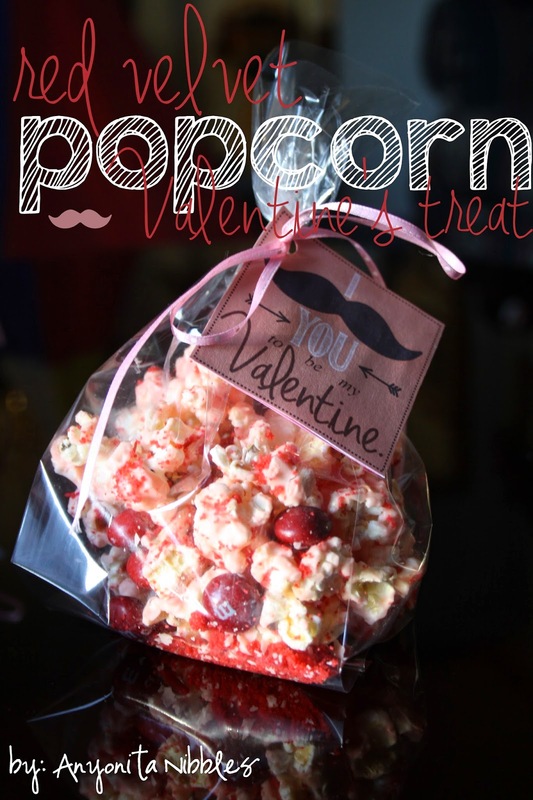 Prop open the door with a clean wooden spoon until the oven cools completely. Scoop shop-bought or homemade cream cheese buttercream into a piping bag fitted with a long nozzle for filling cupcakes. 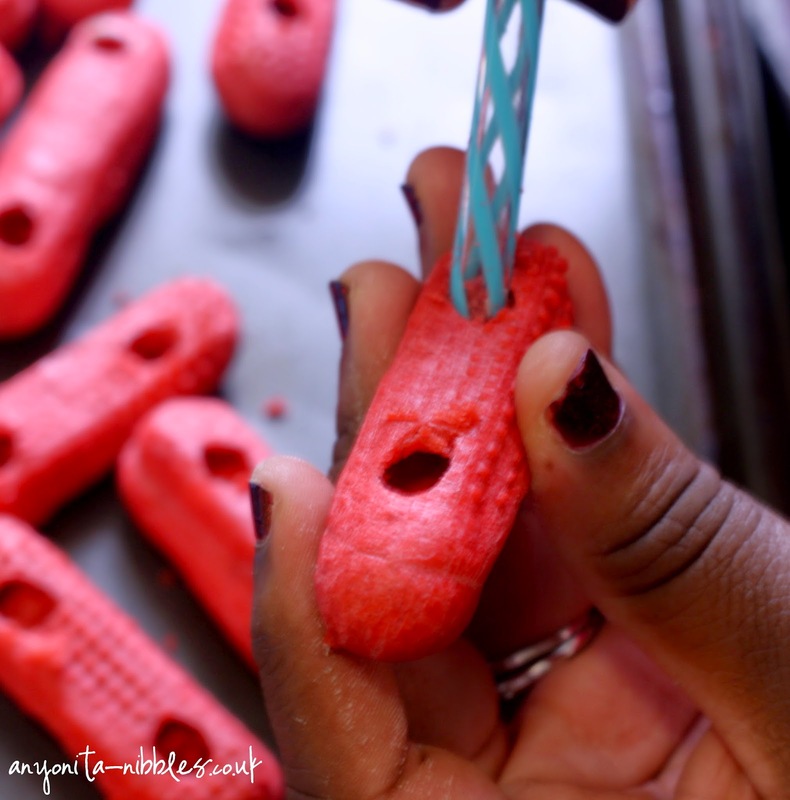 Gently squeeze some of the buttercream into each hole in the eclair until it just oozes back at you. Repeat with the remaining elcairs. 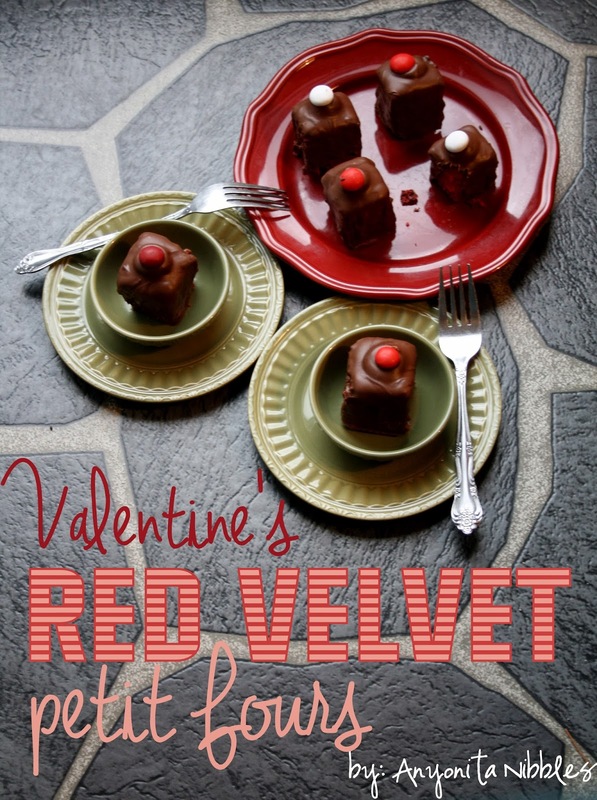 Melt some chocolate in a bain marie until liquid. 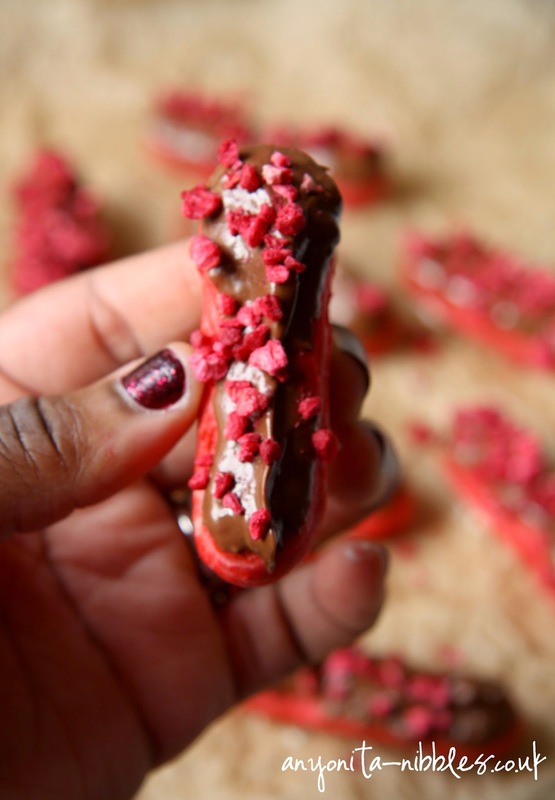 Dunk the tops of each eclair into the melted chocolate, taking care not to burn yourself on hot chocolate! 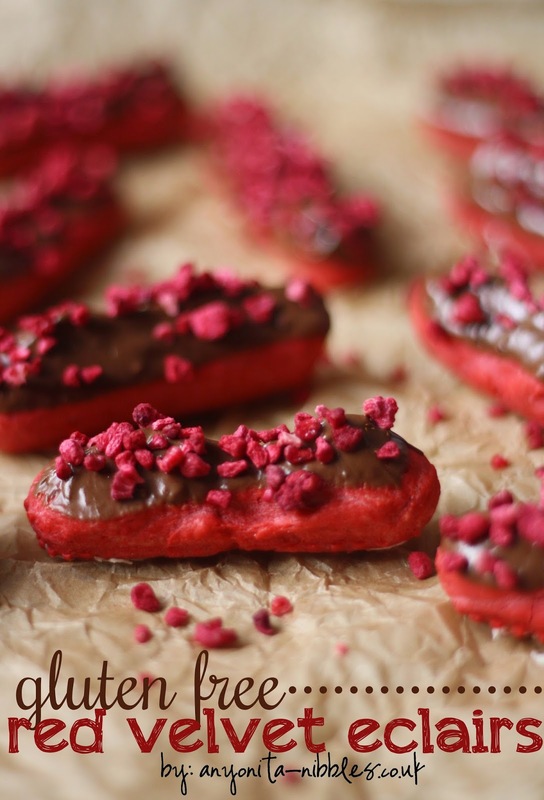 Rest the eclairs with the chocolate facing up and sprinkle over a generous portion of freeze-dried raspberries. Et voila! 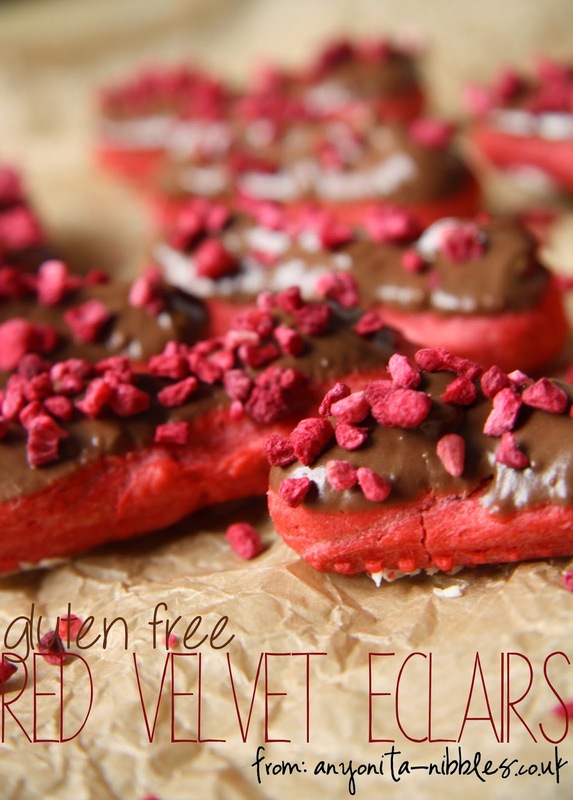 I hope you make these mini gluten free red velvet eclairs and I hope you love them just as much as we did! 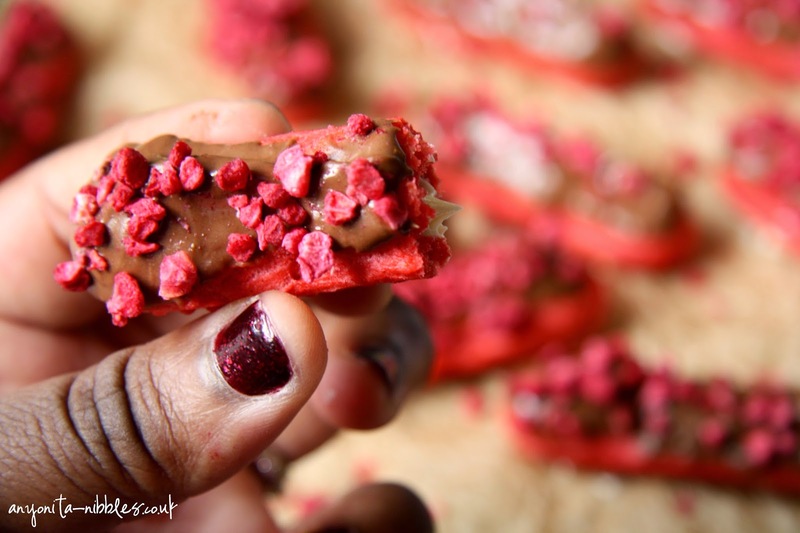 Your Red Velvet Eclairs look amazing, Anyonita! 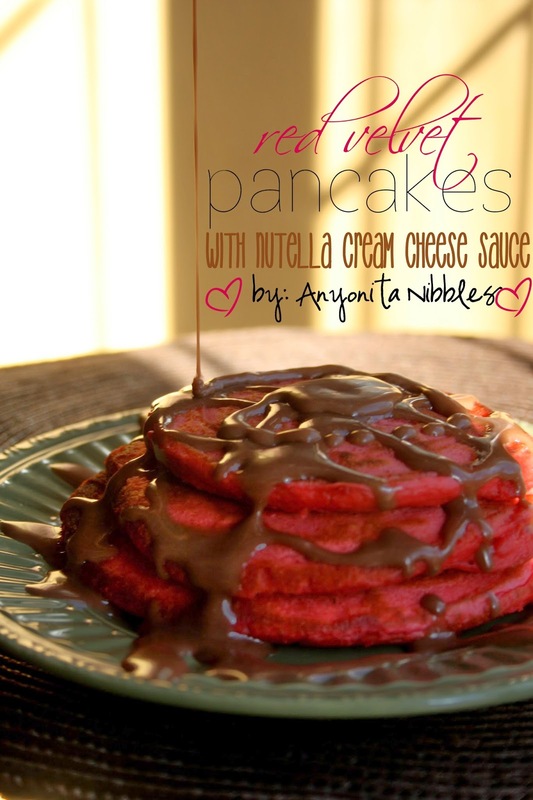 Love that they are gluten free too! What are the milk and xanthan gum used for?